You may have read that recently we went to see Jamie Raven live on stage in Southport. For those that don't know who he is, Jamie came runner up in the 2015 Britain's Got Talent final. He narrowly lost out to Jules and Matisse by just 2 per cent of the vote. We remembered his performances and loved watching him so we were quite excited to see his live show. He mentioned that he would be releasing a range of magic trick sets soon and both Daddy and I got excited as we both love magic. We have had so many magic sets over the years and they are so much fun. For the past few weeks we have been trying out Jamie Raven Sleight Of Hand Magic Set which is one of the four sets that has been released recently. Now that the weather has started to improve and the days are getting longer we have been sorting out the summer toys ready for the late nights and longer weekends. This weekend we wanted to try out the Giant Gazillion Giant Power Wand as Little J loves bubbles and especially big bubbles that he can chase around the garden. A few weeks ago we were asked if we would like to review Stickle Bricks - Big Red Bucket. I read the email and smiled to myself because I absolutely love Stickle Bricks. Yes, I know I am an adult and I know the idea was for little J to give them a try but I love Stickle Bricks so the answer was a big fat yes. I'm guessing a lot of my readers around a similar age as me must have played with Stickle Bricks when they were younger, I know I did. For those that didn't, oh my goodness you missed out on some serious building, sticking, stacking fun. I usually don't get involved with conversations regarding breastfeeding as it's a personal choice whether you do it or don't. I would never like to judge anyone who didn't breastfeed because their reasons have nothing to do with me. I was somehow roped in to a conversation recently between two Mums talking about feeding their babies. One had breastfed and one had tried but couldn't. They both looked at me to share my feeding story however I felt slightly embarrassed and I'm not sure why. I have just been reading about Swizzels and how they would like the nation to share their #LovelyMoments for the chance to win a dream day. 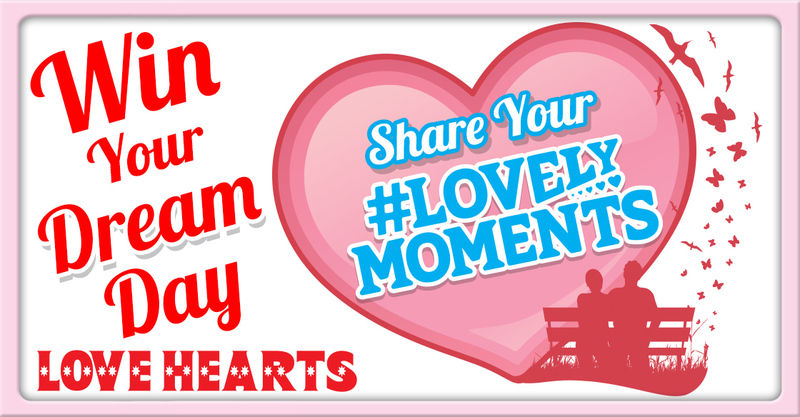 I suppose owning my own blog I already do share my #LovelyMoments with you all already but if I could pick just one moment from my life I wouldn't know which one to pick.